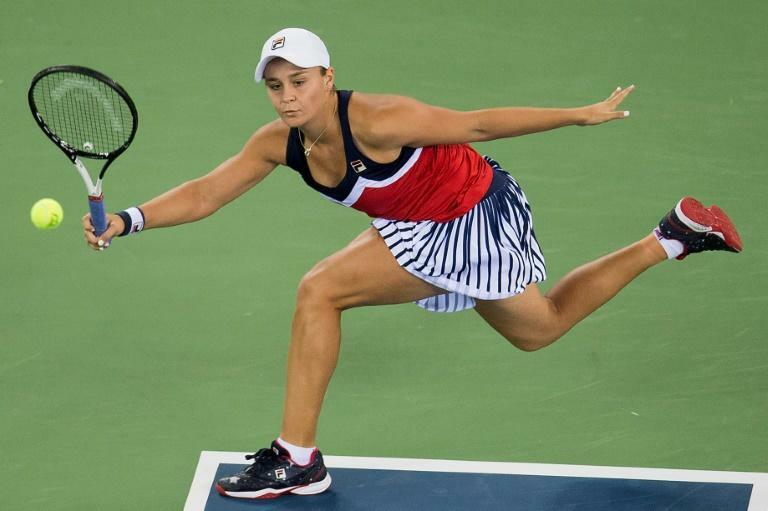 In-form Australian Ashleigh Barty said she was hitting top gear as she upset Wimbledon champion Angelique Kerber 7-5, 6-1 to reach the Wuhan Open quarter-finals in China on Wednesday. Barty didn't allow Kerber any momentum as she denied the world number three the chance to narrow the gap on the top ranking held by Simona Halep, who lost her opening match. Barty, last year's runner-up in Wuhan, came storming out of the blocks, taking a 3-0 lead in the first set before the German offered some resistance to make it 5-5. It was a short-lived fightback, however, as Barty, Australia's top-ranked player, quickly regained control to take the first set. She began the second set even stronger, racing to a 5-0 lead as Germany's Kerber struggled to contain her unforced errors. Barty, who won her first tour-level tournament this year in Nottingham, has been in fine form in Wuhan after beating Jo Konta and Zheng Saisai in the first two rounds. Kerber and Halep's exits have presented an opportunity to world number two Caroline Wozniacki to push towards the top spot as well as qualification for next month's WTA Finals in Singapore. Six of eight places at the season finale are still up for grabs -- only Halep and Kerber have qualified so far. Wozniacki, this year's Australian Open winner, will face reigning Olympic champion Monica Puig later on Wednesday.